It's the ultimate customized interface for access to your computer. Switch between five innovative trackpad modes, especially designed for diverse individuals who have trouble with typical trackpads, mice, and trackballs. 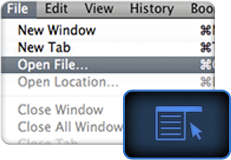 Each mode also has powerful commands for navigating websites, improved editing, and switching between documents. Different people have different abilities. So Panther created different modes for accessing a computer. Explore dozens of exhilarating new ways to do everything from move a cursor to navigate a menu to edit text. 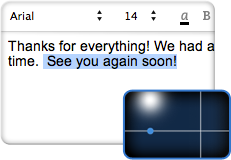 It’s hard to edit text when you can’t accurately move a cursor. So our innovative 2 axis mode compensates for complex motor patterns by restricting cursor movements to the things it knows you want. It’s a better way to work. 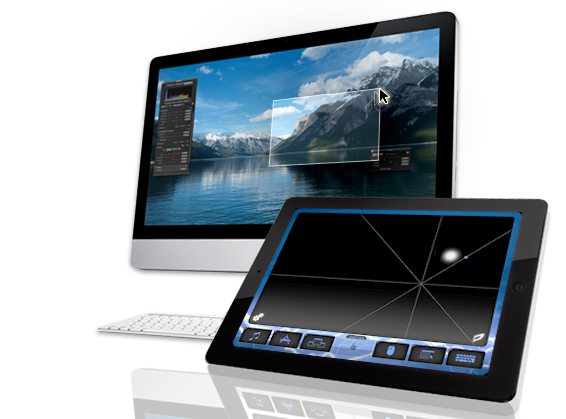 Panther Connect offers comprehensive controls to let people with motoric access problems navigate menus efficiently. With one touch you can use combinations of closely grouped commands and arrows. You’ll love what you can do. How do you use a computer if you have trouble clicking with a trackpad or mouse? Now there’s an answer. 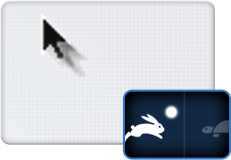 Panther Connect provides all major mouse controls – all accessible with simple taps on the screen. FIVE DIFFERENT MODES. FOR ALL YOUR NEEDS. The basic mode of Panther Connect provides a full surface to let you navigate your computer from your IPad. But it also provides a diverse number of settings to increase your access - from ways to avoid accidental hits with hold times, to one button access to launching apps and editing text. Frankly, with our innovations in Universal Design, it's anything but basic. 2-Axis mode lets you control a computer even if you have limited motor control. By restricting mouse movement to only horizontals or verticals, it takes a bit longer to get somewhere, but you can accurately get to exactly where you want. And our 4-Axis mode provides even further refinement by adding two additional diagonal planes. Mini Track provides a small Trackpad surface for individuals who have trouble navigating the larger areas of the Panther Connect. So even with minimal movement, you get maximum access. We've also moved buttons closer to the control area for fast access to Panther Connect's many powerful features. Expand your horizons with this compressed field of movement. Our wildly innovative Split Screen mode is perfect for people who have difficulty rtransitioning between fast and fine cursor movements. This mode does it for you! 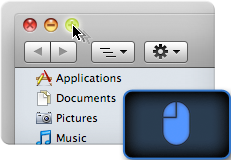 Move the cursor quickly by starting movement on the "quick" side of your trackpad. Once the cursor gets near where you want, get slower, fine targeting speed by starting your movement on the right side. Panther Connect offers ways to navigate menus, tab between fields, isolate certain parts of the computer screen, and even do complex mouse clicks. That means that even if a web site or an application isn't accessible, Panther Connect is likely to give you the ability to do it anyway. For people with motor disabilities, Panther Pad truly unleashes the internet experience. With a simple touch of a button, you have access on your iPad to launch any app on your computer. And you can switch between applications and documents just as easily. Now limited motor movement doesn't mean limited potential. Panther Control Pad can be used on its own. Or use it along with other Panther Apps to support the broadest access possible. Check out the following for some great ideas.